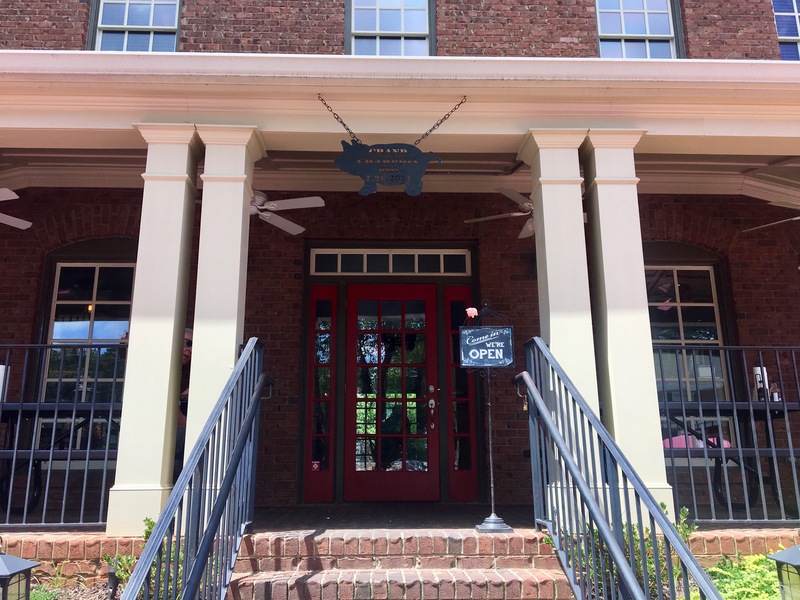 Canton Street in Roswell has certainly become the culinary hub of the city. From French to Italian and everything in between, there are all sorts of cuisines to try. 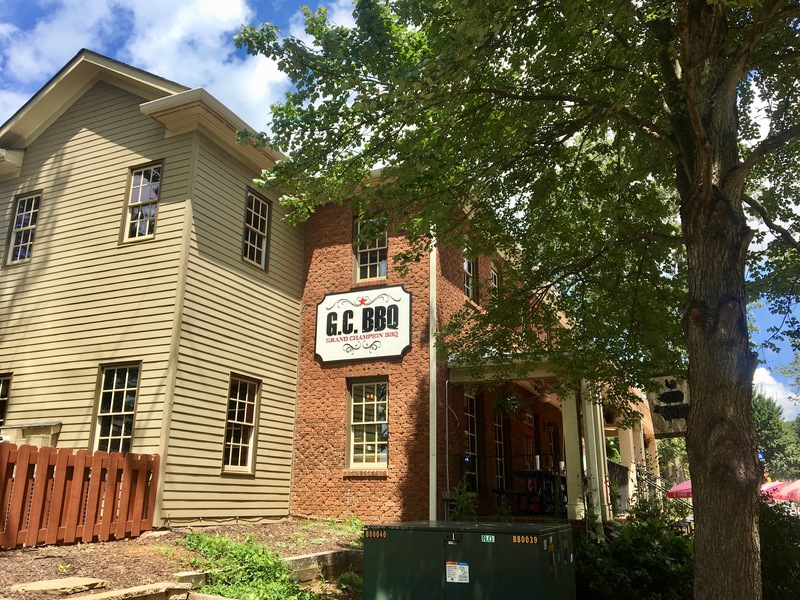 The newest to open is Grand Champion BBQ, also known as GC BBQ. GC replaces Nine Street Kitchen, which we really enjoyed on nice, sunny days. The picnic-style dining on the hillside next to the restaurant is gone, but you can still dine outside on the patio. Let’s go inside and see what’s smoking’. Things have changed a lot since the last time we were in the building. 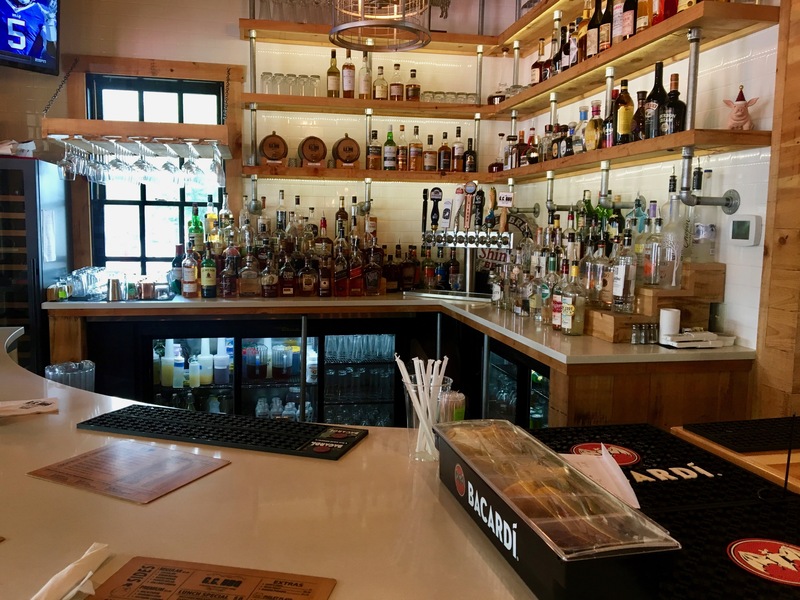 There’s a new big bar in the corner. The dining room is different too. Since this is a converted house, it’s not too large. A word about the chairs: there is no felt on the bottom of the legs, so every time someone moves a chair, there is a loud, grating sound as it scrapes across the floor. We hear it throughout the meal. We are here for a lunch date with our pals Bev and Charlie, who live in the newly minted city of Brookhaven. 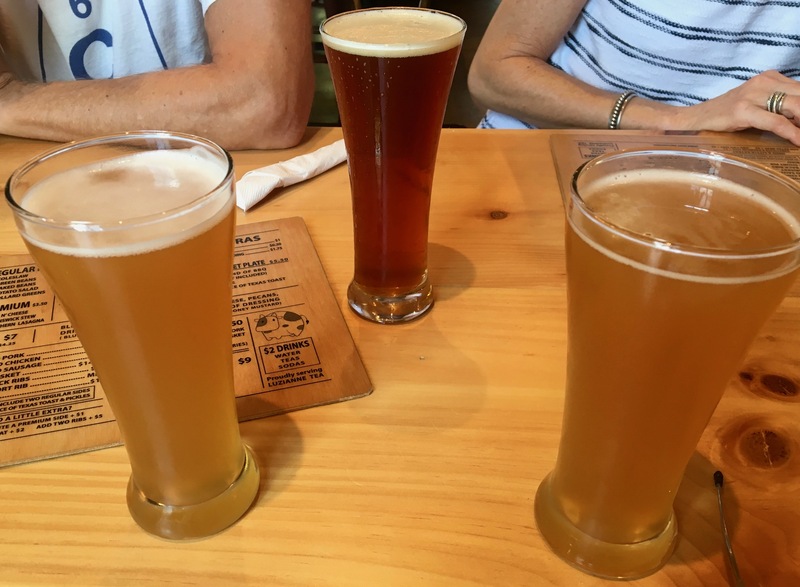 We don’t usually have a beer during lunch, but what the heck. It’s summer and we don’t have anywhere to be all day. We both get Hoegaarden, the official wheat beer of Germany. It really is the perfect summer refresher. The darker beer is a copper from Gate City, right down the street in Roswell. 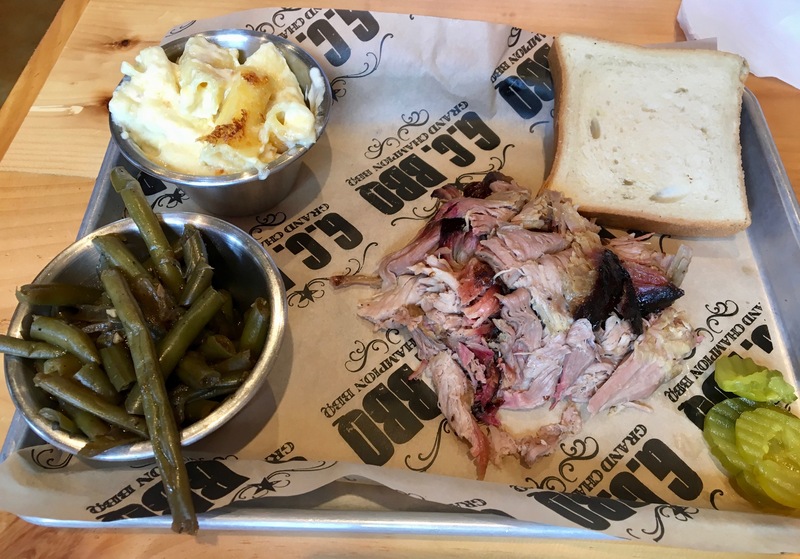 There’s only one thing you come to a barbecue place for and that’s smoked meats. There are plenty to choose from here including pork, chicken, sausage, brisket, back ribs, and a beef short rib. You get to choose two sides with your meat, which comes from a smoker just off the dining room. Three of the four dishes made in it are hits. One is a miss. Let’s start with the hits, like the macaroni and cheese bowl. GC takes their “award winning” macaroni and cheese and tops it with the meat of your choice. Bev tops it with the pork. 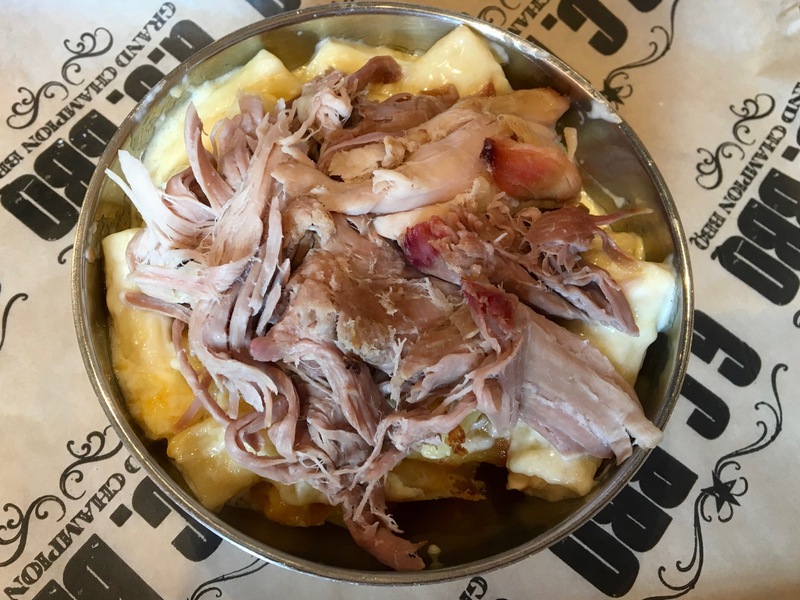 The mac and cheese is excellent, and topping it with pork only makes things better. The rest of us go more conventional and get the plates with two sides. Here’s more pork. It’s moist and tender, just like Bev’s. There are sauces to add, or you can just enjoy the smoky pork. I should probably talk about the sides as they are excellent. Mac and cheese is a constant today. It’s fabulous, and you should get it if you go. It’s funny that I should say that about the mac and cheese, because during an earlier visit to GC’s Marietta location, it was disastrous. A sure thing here, though, is the brisket. It’s moist with just the right amount of fat. Is that more mac and cheese beside it? The streak continues. This would be a good time to talk about Texas toast. I always feel so bad for the poor, unloved slice of white bread that gets in the way of a good food photo and nobody eats. The GCC offering wasn’t even toasted. Wouldn’t all of these meals have been better with a nice roll from Holeman and Finch instead of the pitiful piece of white bread? You betcha! You have been waiting this entire review to see the one bad thing to come out of the smoker. May I present the ribs. The lower portion of the ribs were fantastic. However, the upper part were dry and hard as a rock. So each rib was partially good. Someone left the ribs too close to the heat and didn’t turn them. I pick “southern lasagne” as one of my sides. What is it? Macaroni and cheese topped with Brunswick stew. There’s not a whole lot of stew on top, but it does spice up the mac and cheese a bit. 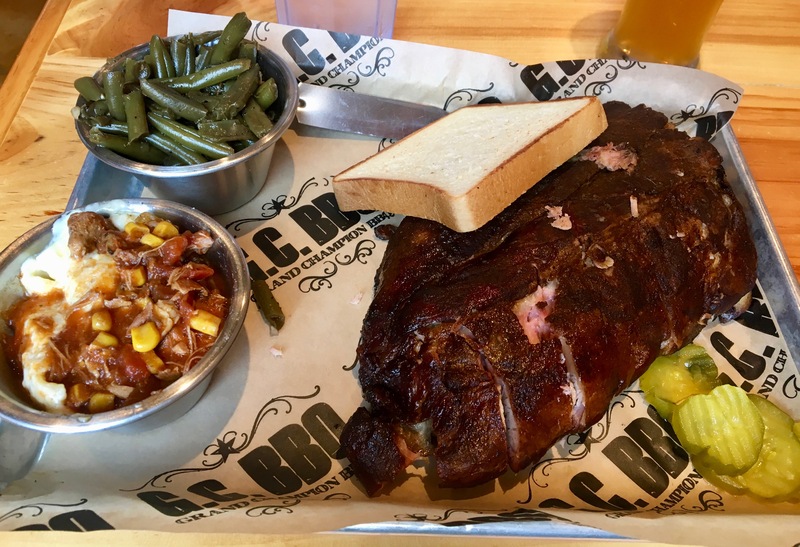 The bottom line on GC BBQ: Second place. With Swallow At The Hollow a block away, you wonder why there’s another barbecue place so close. 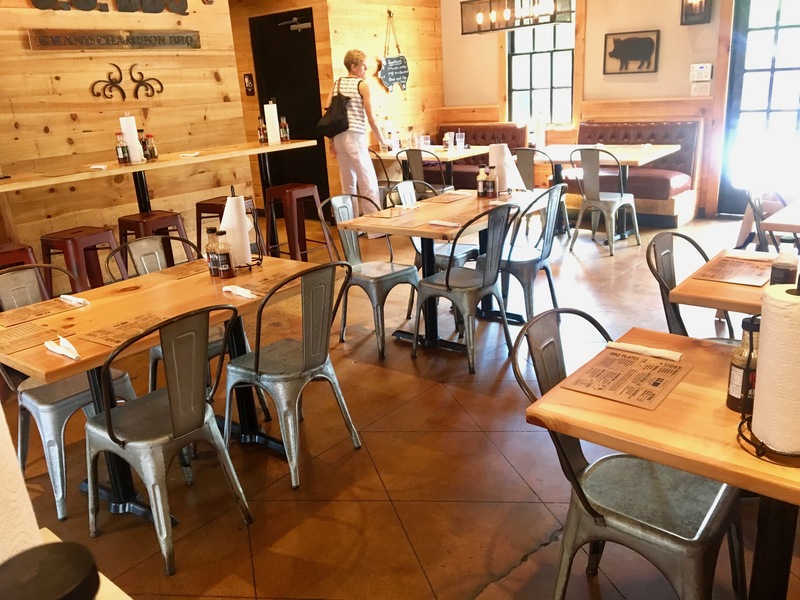 Yes, GC has a better location and better brisket, but the service is much better at Swallow. (The ribs were not very good at Swallow either.) 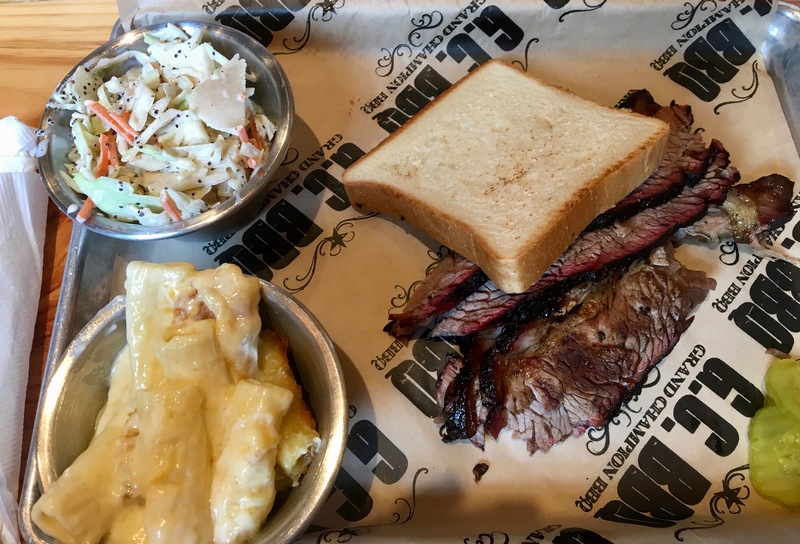 Our “dream date” at GC would be the brisket with a side of macaroni and cheese and green beans. It’s a good meal that will leave you satisfied. You just have to put up with noisy chairs and subpar service.